Marie Cirillo has dedicated her life to giving an active voice to the concerns of her neighbors in Appalachia in an effort to restore their land, livelihood, and economic self-sufficiency, which were devastated as a consequence of the extractive practices of absentee corporate owners. Brooklyn-born Cirillo joined the Home Mission Sisters of America, a Catholic order of nuns better known as the Glenmary Sisters, at 19 years of age. She spent four years as a nun in the Uptown neighborhood of Chicago, working among impoverished white families and directly witnessing the consequences of the migration of people leaving Appalachia for the promise of city jobs. Cirillo left the Glenmary Sisters in 1967 when her religious community broke apart; she was among 44 Sisters who resigned en masse and created a new organization called the Federation of Communities and Service (FOCUS). She decided to relocate to a rural Appalachian community where she could help address the underlying causes of the migration. She moved to the Clearfork Valley near the unincorporated town of Clairfield, Tennessee, where absentee owners had stripped the land of its best resources and sold them in the global marketplace with total disregard for the harmful impact on the local people and the land. To encourage regional self-sufficiency and land reclamation work she founded the Woodland Community Development Corporation, the Mountain Women’s Exchange, and Appalachian-Based Community Development Education. 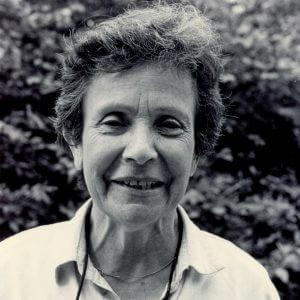 She is an advocate of the community land trust model, and with the help of Robert Swann, who began the CLT movement in the United States, she founded the Woodland Community Land Trust in Clairfield. It has grown to 450 acres that support housing, forest restoration, and small business. Cirillo began a long career of helping her neighbors to form one alternative institution after another for the improvement of her adopted community. These eventually included the Model Valley Development Corporation, the Model Valley Craft Group, Mountain Communities for Children, the Jubilee Music Group, the Clearfork Water Utility, and the Clearfork Community Institute. She has served as executive director of Rural American Women and has been a founding member of several national and regional organizations. In 2013 she passed the reins of the Clearfork Community Institute to a new executive director. She still resides in the Clearfolk Valley and remains involved in the Woodland CLT. She continues to raise money, recruit volunteers, and motivate younger activists in support of the many community-based organizations that she helped to launch during her five decades in the Clearfork Valley.